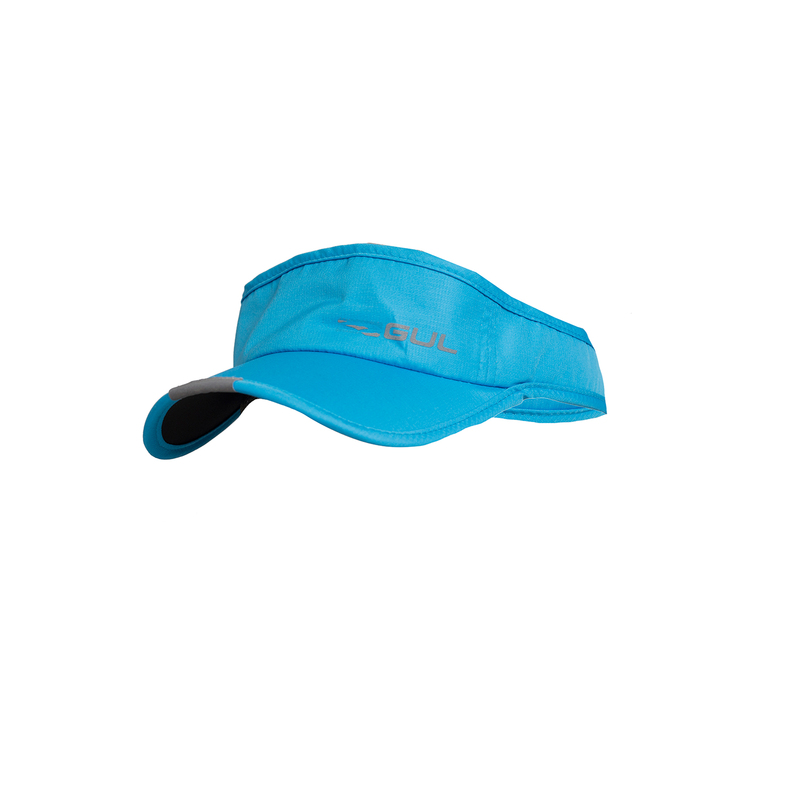 Gul CZ Race Performance Visor, featuring fast-drying fabric with a mesh liner for sweat-wicking, featuring UV properties to protect wearers from the sun on hot days. Velcro fastening closure to back adjuster for a custom fit. The removable cap retainer clips onto your collar or hood so you don't lose your cap whilst on the water.